One of the secrets to producing a stand-out bathroom design is a stunning vanity. As you design your new bathroom, consider creating a special vanity to add a wow factor to the entire room. The right vanity can add a wow factor to the entire bathroom. A vanity is the centrepiece of any bathroom and can provide a lift to all the other elements. Even fairly ordinary fittings can be transformed by the wow factor of a fine vanity. This makes it a great place to focus your design attention and add that touch of individuality. At The Cabinet Shop, individuality is what you’ll get. We build all of our vanities and bathroom cabinets to match your space and design ideas so you get the perfect, no-compromise result. This includes single and double vanities, and combinations of cupboards, drawers and shelves that will keep his and her things organised, and reduce the morning mayhem. And, as with all of our cabinets, we only use materials and hardware that ensure they’re durable, function perfectly, and keep looking great for years. 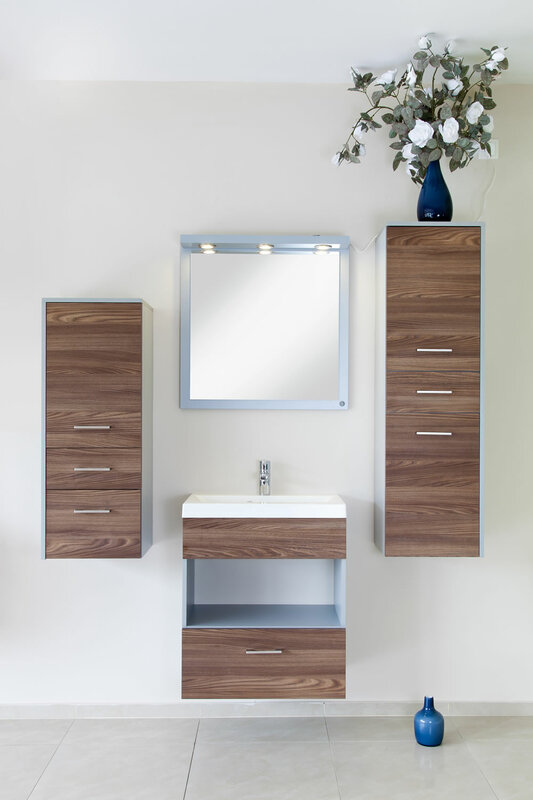 Contact us today for a no-obligation talk about your bathroom cabinet and vanity needs. We can also help with your kitchen and home renovation needs.